Temporarily out of stock. Please check back. 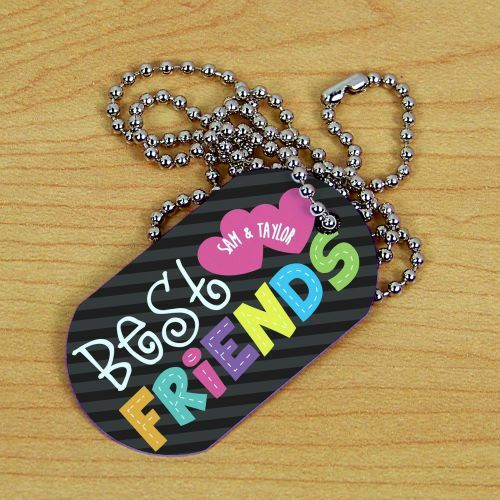 Think of your BFF every day when the two of you wear our dog tag. This is a great gift to show your best friend how much she means to you, and it's a great reminder of the special bond that the two of you share. Free personalization of any two names are included.